Selena Gomez is making a big return to the spotlight. The singer has returned to Instagram back in January. She shared her first Instagram post on Sept. 28, 2018, following her brief rehab stint. In the post, Gomez shared a series of intimate black-and-white photos that look as if they came from a photo shoot. In the caption, Gomez wished her followers a happy New Year and thanked them for their ongoing love support. The singer reflected about the past years, including the triumphs and challenges she faced. The former Disney star revealed last year that she would be taking a break from Instagram despite being one of the most popular celebrities on the social media site. While Gomez said she’s appreciated of her fans support, she’s also grateful to be given the opportunity to take a break from social media and focus on her life. She also revealed to her fans that some of the negative comments on social media get her down sometimes. Since leaving the treatment facility last September, Gomez has been in better spirits. She’s getting back to her regular routine. She’s been seen going on a hike with her friends in Los Angeles. She also found time to catch up with her friend Taylor Swift back in January. The two posed for a “20wineteen” photo that included Cazzie David and was posted to Taylor Swift’s Instagram account. Gomez has been focusing on herself, including her friends and family. It also looks like Gomez will be working her way back into Hollywood again. According to a report from Variety, Hotel Transylvania 4 will be back in theaters in 2021. The animated movie has already grossed over $1.3 billion worldwide. Sony is looking at a Dec 21, 2021 release, just in time for the holiday season. The series also includes Adam Sandler, Fran Drescher, Kevin James, Andy Samberg, and Kathryn Hahn. Aside from that, Gomez doesn’t have any other new film releases in the works. In addition, Gomez is already back in the recording studio. She was seen leaving a Los Angeles recording studio on Tuesday, Feb. 26. The star was all smiles with her bodyguard in tow. She wore an oversize white teddy bear jacket over a button-down shirt and jeans. Her signature dark brown hair was pulled back in a low ponytail. Gomez accessorized her look with hoop earrings, white socks, and white trainers. She returned to Instagram to tease her new collaboration with Benny Blanco, J Balvin, and Tainy. The singer was also featured on Julia Michaels’ new song “Anxiety” off her six-song EP Inner Monologue Part 1, which dropped back in January. It’s unclear why Gomez was at the recording studio. Some fans are looking forward to new music from the singer soon. The last solo single she released was “Fetish,” which was the follow-up to her lead single “Bad Liar.” Gomez previously told Elle Magazine that her next album will be “very honest but playful” during an interview on Instagram Live. During a conversation with her fans back in August 2018, Gomez revealed that her favorite song off her new album is titled “Rare.” She also said that her album is “creatively it’s in a really great direction,” and she promises to include more collaborations this time around. While Gomez hasn’t made any public appearances in some time, she was recently spotted at the wedding for her best friend Courtney Barry and Sam Lopez. She also attended Barry’s bachelorette party which took place in Cabo San Lucas. Gomez is clearly in a good place and in a good frame of mind. It’s likely that she’ll rejoin the spotlight when the time is right for her. 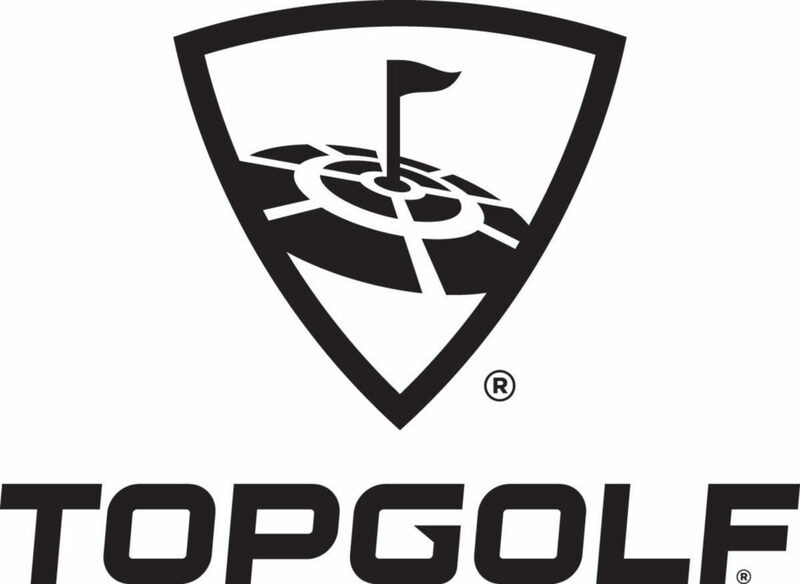 Last year my wife gifted my son and I gift cards to the new-to-Kansas City attraction known as TOPGOLF.. TOPGOLF is basically an elevated driving range with various targets which you can hit to score points while competing against your friends. Sounds fun, I know, but the constant hassles are not worth the energy and time spent. Depending on where you live, the hourly rates may differ from the ones in KC. Here the cost is $25 an hour if you go before noon, $35 an hour between noon and five o’clock and $45 an hour after five. We got there at 11:30 a.m. and were sent to one of the elevated tees. We were going to play for two hours (thinking since we were there before noon that the cost would be $50.00) but learned that, even if you’re there before noon, once the clock strikes “12” the price goes up. Not wanting to pay $60 we elected for play for 90 mins at a cost of $42.50. My son “signed in” to the game and his name appeared on the screen. We tried to “add a player” but were unable to. I finally signaled one of the employees and he came over. We explained the situation and he said that I’d have to pay $5.00 to add my name. I told him we had already paid for the time and he told me that there is also a $5.00 charge to come in. It reminded me of the old casinos here in Kansas City -when they first opened you had to pay a $15.00 “docking fee” to go inside. That’s right…you had to give them money for them to allow you to spend your money! I agreed to pay the five bucks and we began hitting balls. At TOPGOLF, if you want a ball you have to wave your club over a sensor, which then has a machine spit a ball out. Sadly for us, you had to wave your club over the sensor repeatedly…sometimes five or six times…before a ball came out. The constant wait for a ball obviously ate into our time. Also, we would alternate our shots but sometimes, even though I was noted as the player up, after I hit the ball it would suddenly change to my son and award him the points. At 12:15 everything stopped and a message on the screen told us we had 15-minutes left to play. As we had signed up for 90-minutes we were surprised to see this. After a few minutes I tracked down the same employee. Again he came over and pushed some buttons. “You only paid for an hour,” he told us. “No,” I said, “we requested 90 minutes. The cost was $42.50.” Again, he had to push some buttons. The whole exchange probably took another five minutes off of our playing time. I mentioned that and he shrugged. It was obvious he could care less. I jokingly said to my son, “well, this isn’t going to look good in my write up.” As if I had flicked a switch, he immediately showed some interest in us, asking if there was anything he could do for us. I told him “no.” A few minutes the manager approached us and asked the same thing. I explained to her all of the problems we had had and how we had probably lost 15-minutes of our time to glitches. Obviously she felt that, despite hearing about all of the problems we had had, none of them qualified for the “something I can do” request to be followed up with actually doing something. No “I’m sorry, let me extend your time” or “I’m sorry, let me get you a pass to come back another time. Like the previous employee, she just shrugged. She walked away, we finished up and left. Maybe when everything is working properly TOPGOLF is a fun time. But if I’m going to drop $45, I’m going to play 18 holes. $5 from every $35 pair of sunglasses sold will be donated to Oceana in their ongoing effort to protect the world’s oceans. 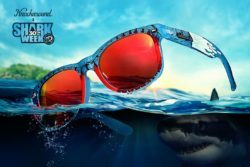 SAN DIEGO, CA (June 11, 2018) – Knockaround, a San Diego-based sunglasses company, is excited to announce the release of this year’s official 2018 Shark Week sunglasses. This is Knockaround’s 4th installment of their annual Shark Week collaboration with Discovery. A portion of proceeds from this years’ release will go to Oceana, the leading international conservation organization focused on protecting and restoring the world’s oceans. This year also marks the 30th anniversary of Shark Week, the massively successful week-long programming block on the Discovery Channel, dedicated to the mysterious marine animals. Such a special year for the network demands an equally celebratory design for the limited-run sunglasses. 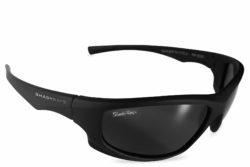 Built on Knockaround’s durable and high-quality Fort Knocks frame style, the 2018 Shark Week sunglasses feature a translucent breakwater blue frame with Great White jaw graphics, silver hardware, and polarized predator red lenses. Every pair comes with a shark tooth microfiber protective pouch and Shark Week 30th anniversary commemorative packaging. CLICK HERE TO PURCHASE THESE SHADES BEFORE THEY SELL OUT! Starting Wednesday, June 13th, the Shark Week sunglasses will be available to purchase for $35 on Knockaround.com with $5 from every pair sold going to Oceana. To date, Knockaround has donated over $30,000 to the non-profit to help fund science-based ocean research. Tune into Discovery starting July 22nd for Shark Week 2018, featuring eight days of shark-centric specials that aim to educate about the powerful predators of the sea while clearing up misconceptions. Knockaround is the original, affordable sunglasses company, founded in 2005 in San Diego. Centered around durable shades that are both practical and stylish, Knockaround provides high-quality sunglasses that won’t break the bank. Knockaround has grown to offer eight different frame styles in a wide range of colors as well as ongoing limited edition releases, collaborations, and an interactive, online “design your own” custom sunglasses shop. Knockaround sunglasses have been featured in well-known media outlets such as GQ, US Weekly, and The Today Show, and have been worn by several celebrities including Jessica Alba, Matthew McConaughey, Natalie Portman, Snoop Dogg, and John Legend. For more information, visit us at Knockaround.com and on Facebook, Instagram, and Twitter (@Knockaround). Oceana is the largest international advocacy organization dedicated solely to ocean conservation. Oceana is rebuilding abundant and biodiverse oceans by winning science-based policies in countries that control one third of the world’s wild fish catch. With more than 200 victories that stop overfishing, habitat destruction, pollution, and killing of threatened species like turtles and sharks, Oceana’s campaigns are delivering results. A restored ocean means that one billion people can enjoy a healthy seafood meal, every day, forever. Together, we can save the oceans and help feed the world. Visit Oceana.org to learn more. Quick shopping trips and more…. Quest Basics Corp was founded in 2013 to deliver creative design and hiqh-quality sourced products at affordable prices. Their first launch was IJOY launched at CES 2014 with incredible response leading to the company tripling sales by year’s end. The company continued to expand and in 2017, they launched SpinPop, a unique and patented phone holder mechanism. Monet is their next launch in the phone holder space. Quest Basics is based in Brooklyn, NY. With a huge influx of new residents from Puerto Rico expected in the coming months and the Thanksgiving / holidays approaching, Second Harvest Food Bank of Central Florida (SHFBCF)’s need for food donations is rapidly increasing. The Americas Cake Fair is conducting two community outreach initiatives to help raise awareness for SHFBCF’s services and stock supplies of local emergency food pantries. Both events provide excellent visuals and interview opportunities. The Founder & CEO of Satin Fine Foods, Inc. & The Americas Cake Fair is meeting with students enrolled in the Second Harvest Culinary Training Program, which provides qualified, at-risk and economically disadvantaged adults with the culinary and life skills training needed to pursue a sustainable career in the food industry. Kevin O’Reilly will share his inspiring business story, from humble beginnings working in his family’s bakery in Ireland to creating a “better-tasting mousetrap” (Satin Ice) to establishing one of the largest fondant manufacturing companies in the world. Central Floridians can support their community and donate non-perishable, unexpired food items in exchange for ticket vouchers to The Americas Cake Fair. A donation of 10 food items entitles each consumer to one ticket voucher, with a limit of four vouchers (40 food items donated) per household. Vouchers can be redeemed at the Cake Fair registration window at the Orange County Convention Center, West Concourse, October 13-15, 2017. 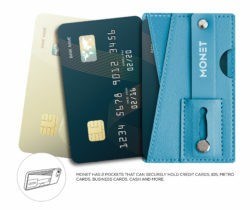 Vouchers are available on a first-come, first-serve basis while supplies last. Participants can simply drive into the large surface “car park” at Ace Cafe Orlando, stay in their cars, and volunteers will exchange ticket vouchers for donations, right through car windows; or they can park and enjoy a visit to the Ace. Check out MediaMikes.com Podcast – Behind The Mikes on Podomatic! The Americas Cake Fair Returns to Orlando on October 13-15, 2017! Tickets on Sale Now! ORLANDO, Fl. (April 7, 2017) – Sweet news for dessert lovers. Tickets are now on sale for highly-anticipated return of The Americas Cake Fair (Cake Fair) to the Orange County Convention Center on October 13-15, 2017. – An exhibit hall overflowing with products and services, including some items for cash and carry. The holiday season is upon us in full swing and we took some time to chat with owner of UglyChristmasSweater.com to discuss the huge phenomenon that is taking over people’s wardrobes during this time of the year! Everyone has or wants an Ugly Sweater. They are silly fun and a great way to kick back and relax during those lame holiday get togethers. Fred Hajjar is the CEO of the site and has taken over the holidays with this hot craze. We had a chance to chat with Fred about his work and celebrating the holiday season. Mike Gencarelli: When did you get started with UglyChristmasSweater.com? Fred Hajjar: The domain was purchased in 2011. The site went live in 2012. I have another clothing website, www.tvstoreonline.com, and thought this would be a great way to expand when I noticed demand for sweaters on eBay and the salvation Army in 2011. I also noticed more and more holiday parties happening every year and also saw statistics showing an increase in searches for ugly Christmas sweaters. From there, www.UglyChristmasSweater.com was born. MG: Why do you feel that there is such a demand for this product? FH: Popularity for Ugly Christmas Sweaters has been increasing year to year due to more families, businesses and events around Ugly Christmas Sweaters, thus the overall website traffic has also increased. MG: Tell us about how you choose your designs? FH: We do a lot of research on what does well across the web. We also have search term statistics along with data that shows trending designs.We feel the term “ugly” for sweaters has come to encompass not just old style sweaters, such as those at the Salvation Army for example, but also newly designed sweaters that can have a classic or outgoing feel. Everyone has a different opinion, but we feel it represents a sweater that makes you stand out and portrays your true holiday spirit. MG: I read you even have ones with LED Lights? FH: Yes, we do! People love creative designs and for some, the more extreme, the better! MG: Give us some background on the new custom design your own sweater generator on your site? FH: We decided we needed something creative this year and the customizer was a hit! With sweaters being more mainstream this year, what better way to get something unique! In our house we have the walls covered with photos all throughout. We love sharing and reliving our memories with friends and family. We have numerous photo books and wall decor as well that we cherish throughout our home. There are tons of great options when it comes to creating something special with your photos online. Everyone using just runs to Shutterfly but I am here to let you know that there are a tons of other great options. One of them that I recently found was AdoramaPix. This company stocks some amazing options for you to bring your memories to life and to tell your own stories with your photos. They have everything from photo books to prints to wall decor to cards and calendars to name a few options. During this time of the season you easily find the some great to share the perfect sentiment with your love ones. They are also very reasonable priced. I recently placed an order for under $70 dollars and purchased a ton of amazing products. If you want photo prints, we were able to get a wonderful assortment of 5×7, 4×6 and 8×0 glossy prints for under $20 dollars. We got a pack of Royal Felt greeting cards for under $3 dollars. Also there is nothing better than the creation of canvas prints. We got two different photos sized 10×8 on Canvas Print for $24 bucks each. if you give one of these beauties to one of your loved ones the will cherish it forever! AdoramaPix is not only reasonable priced, they also have great perks as well. There is no sales tax outside NY state and all orders over $49 dollars get free shipping. Especially during the holiday season quick shipping is important and they have some fast turnaround. Of course, I am not forgetting the most important part…quality. The quality on these printing are superb. I am very satisfied with this service and I would be using it again very soon! The Hottest Music Accessory of 2016! Pluginz recently introduced their newest product – the latest musician’s must-have – the “Jack Rack”! Already making a name for itself, this unique, eye-catching wall-mounted keychain holder is the best way to “Hang Your Keys like a Rockstar”. Now, Pluginz is pleased to announce that in addition to their online store at www.thejackrack.com, you can now purchase your very own “Jack Rack” online via top musical gear retailers Guitar Center and Musician’s Friend. Not only can you buy your own “Jack Rack” via Pluginz, you customize them for your business or brand, too. Artists and reputable companies in the music industry are already creating their own custom Pluginz “Jack Rack” designs after witnessing the personalized nature of the product – allowing them to further promote their brands with a fun and functional twist. To find out more on how to customize your very own “Jack Rack”, email Pluginz at: contact@pluginzkeychains.com. Pluginz was founded in early 2015 by Mike Stricklin. Stricklin soon partnered up with Rockworld Merchandise owners Dan Jacobs of the band Atreyu, and his brother Joe Jacobs. After a successful Kickstarter campaign that raised over $10,000, Pluginz started making a buzz within the music industry. Soon after, the “Jack Rack” went viral on the front page of Reddit, as well as breaking records for post likes, comments, and shares on pages such as Guitar World, Revolver Magazine, Shut up And Take My Money, Celestion Speakers, 100.3 the Sound FM, Alt 98.7, OC Weekly and many more. Read more about the Pluginz “Jack Rack” via http://www.jackrack.com, and stay tuned for more news coming soon! Who says ads that you read on Facebook aren’t effective?! I came across the company MONQ from one of those very ads. What is MONQ? Well it is an aromatherapy inhaler…right away you are thinking…an e-cigarette? No, it’s not! It has 0 tobacco, 0 nicotine and 0 additives. So simply it is just a personal portable devices that is used to enhance your mood with blended and heated aromatherapy. 100% Organic and Natural. How does this differ from your typical topical oils or household diffusers is that MONQ directly inserts aromatherapy into your olfactory system. So there is no only no harm to your body say instead of vaping or smoking but this product actually helps you find purity, sharpness, and coherence through their mentally relaxing blends which are made from raw plants that have been used throughout throughout history for meditative practices. The first blend that I was given to try is “Zen MONQ” is said to actually lowers stress levels! Now who doesn’t need a little of that?! Well let me tell you it does actually do what it says it does. I was very impressed with this product. The MONQ Therapeutic Air device are single use and approximately 150 breaths with most lasting between 1-2 weeks. There is no buttons. No charging. No stress. Just breathe in and relax! The Zen MONQ is made up of the following scents Frankincense / Orange and Ylang-ylang. It smells fantastic and gives off a really nice vapor quantity as well when exhaled. So I like to call this the even healthier way to “smoke”, especially if you are trying to break that habit or fill the need to do so. I found myself very relaxed when testing this product and I am very excited to be trying the other blends as well, so stay tuned to find out more! Just a closing note, just so that there is no confusion you do not need to be a smoker/ex-smoker or anything to enjoy this product at all. If anyone is looking to inspire some peace and calm feelings and looking for natural clarity that I highly recommend checking out this product ASAP! Go to https://monq.com/ and tell them Media Mikes sent you! Fat Tuesday is taking a turn for the fit. The brand of tough fitness, Reebok is challenging Mardi Gras goers to take a break from Bourbon Street for a Fit Tuesday sweat session at New Orleans own CrossFIt Big Easy. Swapping hurricanes for handstand push-ups, Fit Tuesday partiers were rewarded with party beads, and Reebok swag (including free pairs of the brand’s CrossFit Nano 5 training shoe). We’ve included below the special WOD from CrossFit Big Easy coach Zack DeBenedetto, with Reebok is also providing 20% off select products (including the Nano 5.0) on Reebok.com all week in celebration with the code NOLAFIT. So forget the Hurricanes and party beads—it’s time to celebrate the Reebok way. Growing up being an Orlando Magic fan, you gotta give it to Shaquille O’Neal man. The guy is long retired from the game of basketball and yet his presence is no less important in the business. Like Air Jordan’s the Shaq Attaq is back and still just as cool. The shows are just slick looking. No BS either. They are blank and simple black and white and they own it. It is a bold shoe for a bold person. I love the high-top look and I am happy that it has never gone away. These sneakers are Insta Pump-equipped with leather and mesh upper for comfort, support, and breathability. The Pump P107 collar technology is a nice way to add custom fit for the shoe and I really enjoy this feature. These also have a hexalite cushioning system for supreme underfoot comfort. I am usually not huge on signature sneakers but Reebok really delivers these with a good price of around $140 bucks, which ain’t too bad. They also sport the retro Shaq’s signature “dunking” logo on the tongue and the Reebok logo on the ankle as well. These are shoes that will be you some attention I guarantee it. I have never or will never be a basketball player but these shoes are hot and I can’t wait to show them off.